"...every time I see him work, looks to me like a bunch of firecrackers going off all at once." During an era when impressionists, those performers whose gift it is to mimic the very famous, were a staple on television, Cagney was an essential in every repertoire. Cagney. An electric and singular presence, he is among the handful of Hollywood legends instantly identifiable by just one name. His film career began in 1930 and came to an end in 1981, but he is as revered by film buffs today as he was treasured by audiences throughout his active years. This tribute is my contribution to The Movie Projector's Cagney Blogathon. Click here for links to participating blogs. James Francis Cagney came into the world in July 1899, the second of seven children, two of whom died in infancy, born to Irish-American James and Carrie Cagney on New York's Lower East Side. 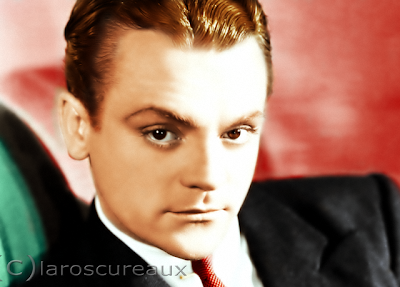 The elder James Cagney was a bookkeeper-turned-bartender, a charmer and a drinker who liked to play the horses and didn't hold many steady jobs. His titian-haired wife was a gritty matriarch, the linchpin who held the Cagney clan together and inspired her children to succeed. James died at age 41 in the devastating Spanish flu pandemic of 1918. Not long after, Carrie gave birth to their only surviving daughter, Jeanne. The four Cagney boys were used to working at odd jobs and contributing to the household "kitty," but now the family's survival depended on them. Jim, known in the neighborhood as "Red," took his first regular part-time job at 14 as a copyboy with the New York Sun. At 15, with his brothers Harry and Ed, he worked part-time for the New York Public Library. But he always had other small jobs on the side so he could better "feed the kitty." He never joined a neighborhood gang, but he was a street fighter, a tenacious one, and was good enough that he began training to become a pro. His mother, a staunch believer in education as the only sensible way out of poverty, put a stop to this plan the moment he mentioned it to her. Through the years, Carrie regularly sent her boys to neighborhood settlement houses for lectures and classes. Jim developed an interest in ecology through a talk he'd attended; this passion remained with him all his life. When oldest brother Harry was studying to become a doctor, Carrie decided it would be a good idea for him to learn something about public speaking and persuaded him to join the dramatics club at the Lenox Hill Settlement House. When Harry became ill just before a performance, Jim stepped in for him. It was his first turn as an actor. He relished the approval of the audience and later recalled that 'little Jim' suddenly didn't feel quite so little. Cagney had learned a popular dance called The Peabody at Lenox Hill and when a friend tipped him to an opening for a dancer at $35 a week in vaudeville, he took what he knew of dancing to the audition and was hired. 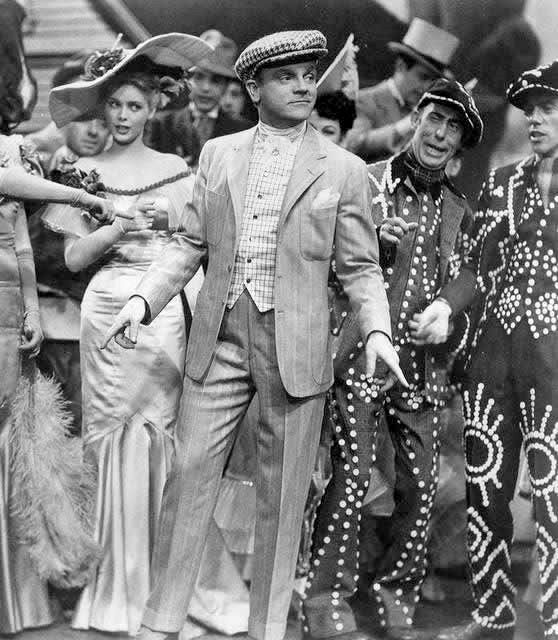 The show was called Every Sailor and, to young Cagney's surprise, he would be performing in a dress. He later wrote, "And that is how I began to learn dancing - as a chorus girl." A quick study, he watched the other dancers and practiced what he saw. After the revue closed he toiled briefly as a runner for a Wall Street brokerage house and was grateful when he got a job as a chorus boy in the 1920 musical Pitter Patter. Eventually he was offered a spot as a specialty dancer in the show and for the next few years worked in vaudeville performing specialty routines. One of the acts Cagney joined for a time was a "3-act" known as Park, Rand & Leach. He took the place of Archie Leach (later Cary Grant) who was moving on. Park, Rand & Cagney didn't last long either. In 1925 Cagney won the role of "Little Red," one of two leads in Maxwell Anderson's new drama, Outside Looking In. The play co-starred Charles Bickford and opened at the Greenwich Village Theatre. Receiving good reviews, the show moved uptown where it ran for four months. Of Cagney's first performance on the legitimate stage, critic Robert Benchley cited his 10-minutes of silence during a kangaroo-court scene as "something that many a more established actor might watch with profit." When Outside Looking In closed, it was back to vaudeville for Cagney, but from 1928 - 1929 he worked steadily on Broadway. Then, in early 1930 he was cast, with Joan Blondell, in a new show, Penny Arcade. Though its Broadway run ended in just three weeks, Al Jolson happened to catch it and bought the movie rights. When he sold the rights to Warner Brothers, he recommended Cagney and Blondell to Jack Warner and they were cast in their original roles. A crime story about bootlegging, murder and a frame-up, the film - re-titled Sinners' Holiday (1930) - launched Cagney's film career. A New York Times critic reviewed the film positively, observing that "the most impressive acting is done by James Cagney..."
The picture that made Cagney a star was his fourth for Warners, The Public Enemy (1931). Esquire's Dwight McDonald would write that Cagney's heartless and brutal thug, Tom Powers, made Humphrey Bogart look like a "conscience-stricken Hamlet." Though the actor always regarded his Hollywood career as transitory, Cagney would never have to look back after the break-out success of The Public Enemy. He received star billing thereafter. Cagney's memories of The Public Enemy included the on-the-set hazards of making gangster films before the use of prop ammunition. Real bullets were routinely used and he had a close call in a scene involving machine-gun fire. Dodging bullets wouldn't be Cagney's only grievance with Hollywood. He'd become a headliner in less than a year, but his contract didn't mirror his popularity at the box office. Early on he vocally objected to the low pay and unholy hours the studio imposed. He called it a "factory approach." When the Screen Actors Guild was founded in 1933, Cagney joined and was elected to its board of directors. He later served a term as SAG president. With the help of his youngest brother Bill, who he had enlisted as his business manager (Harry and Ed had both become doctors), he doggedly battled Warners. Jack Warner referred to him as "the professional againster." Production head Hal Wallis called him "our house rebel." During a contentious separation from Warners in 1936, Cagney traveled east with a friend and spent time on Martha's Vineyard. 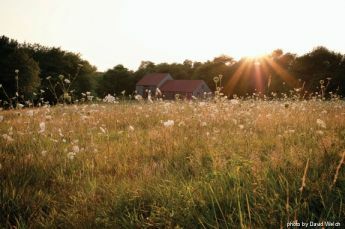 Years earlier, as a boy, he had fallen in love with the countryside while visiting relatives who lived in rural New York. Now he could afford to buy a country property of his own. The Vineyard seemed the ideal location - he would own a farm surrounded by the sea. He purchased a 100-year-old farmhouse on 100 acres that was only accessible by dirt road for $7,500; annual taxes totaled just $39. Cagney's Chilmark Farm became a much-loved retreat where he could enjoy a tranquility his life in Hollywood lacked. The stand-offish Vineyard locals came to know and admire him and would call him, with sincerity, a good neighbor. In Hollywood, Cagney concocted another form of respite. With a close-knit band of actor friends, he started The Boys Club. An industry columnist nicknamed the informal group "The Irish Mafia." Its core members were Cagney, Pat O'Brien, Frank McHugh, Spencer Tracy, Lynne Overman, Ralph Bellamy and Frank Morgan. They sometimes talked shop but, according to McHugh, their nights out were more concerned with stimulating conversation and laughs than the movie business. 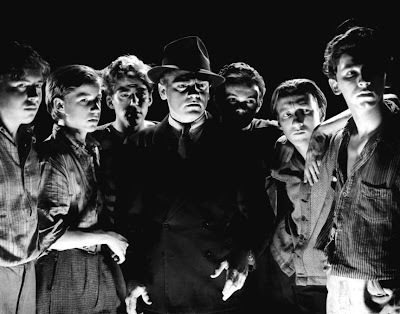 Cagney began work on Angels with Dirty Faces (1938) after his latest problems with Warners had been ironed out. For this film, a crime thriller about childhood friends whose lives go in different directions, the studio afforded a generous budget. A tenement set covered four city blocks and street scenes included authentic push carts and hurdy-gurdies. Even Cagney was impressed, "...when the studio put its heart into doing a thing, they went all the way." This time out Cagney refused to work with live bullets. Though director Michael Curtiz assured him he was safe, the actor insisted on a process shot for a shoot-out scene. It was a good thing he stood his ground. The machine-gun fire, supplied by the same gunner who had worked on The Public Enemy, hit precisely where Cagney would've been standing in the shot. For the role of archetypal gangster Rocky Sullivan, Cagney based his portrayal in part on a local character he'd seen on the streets as a kid. He was "a hophead and a pimp" who stood on a corner all day, hitching up his pants, pulling at his necktie, moving his shoulders, snapping his fingers and smacking his hands together. The mannerisms with which Cagney endowed Sullivan would provide the material for a legion of impressionists years later. An exact replica of Sing Sing's death cell and corridor to the electric chair were created for the film. As Rocky Sullivan walked from the cell to his fate, James Cagney was thinking of the neighborhood boy he knew best in his youth, Peter Hessling, known as "Bootah." In his autobiography, the actor wrote he would always remember July 21, 1927. On that night he was performing on Broadway, Jack Dempsey KO'ed Jack Sharkey, and Bootah went to the electric chair at Sing Sing. "I wept when I heard about him," he recalled. The irony that art was imitating his life - with a twist - in Angels with Dirty Faces was not lost on him. Cagney received his first Best Actor nomination from the Academy for his performance and was named Best Actor by the New York Film Critics Circle. By the time he marked his first decade in Hollywood, Cagney was on his way to becoming a wealthy man. Not only did he have a more lucrative deal with Warners, but he had also begun buying real estate. His properties would include a small island at the tip of Southern California's Balboa Island, acreage in the desert town of Twentynine Palms, California, his home on 10 acres in Beverly Hills, the Martha's Vineyard estate, a farm in Northridge, California, and the vast Verney Farm in Dutchess County, New York. Also at this time, his entire family - mother, sister and all three brothers - relocated to Los Angeles. His wife, Willie (aka/"my Bill"), a dancer he'd met on Pitter Patter in 1920 and married in 1922, didn't mix with the Cagney clan, but Jim was nevertheless thrilled to have everyone close at hand. In 1940 Jim and Willie adopted a son, Jim, Jr., and in 1941 they adopted a baby girl known as Casey. Because of his ongoing disputes with Warner Brothers and his progressive politics, Cagney had been tagged a "radical." The Dies Committee (1938 - 1944) was the first incarnation of HUAC and in 1940 when the LA County District Attorney named Cagney as a person with an interest in the Communist Party, the actor met the accusation head-on. First he called a press conference and passionately denied the charge. Next he met with Rep. Martin Dies, head of the Congressional committee, and stated his case in person. Dies effectively put the matter to rest. Yankee Doodle Dandy (1942) began making its way toward production soon afterward. The role of Broadway's legendary and multifaceted George M. Cohan was a perfect fit for Cagney, who said of himself, "once a song-and -dance man, always a song-and-dance man" and neatly described his own style as "flash, with always a dash of the eccentric and a bit of humor." The film lifted his career to another peak; his performance earned him an Academy Award and his second Best Actor award from the New York Film Critics. Yankee Doodle Dandy, released in the early days of World War II, also cemented his reputation as a good and patriotic American. On behalf of the war effort, Cagney took part in many war bond drives, traveled with the USO and gave the U.S. Army access to his Vineyard property for use in its maneuvers. Also during the war years, Jim and his brother Bill established Cagney Productions. The company produced three features before it was absorbed into Warner Brothers as a production unit. John McCabe's 1997 biography, Cagney, opens with a disturbing domestic scene. Young Jim sits in the kitchen closely watching his father across the dining table. The elder Cagney starts rocking from side to side and then begins a "low keening" that will build to a wail. These episodes were called "Dad's fits" and would portend Cagney's Cody Jarrett in White Heat (1949). The actor considered it "a good picture in a number of ways." The original script had been typical formula, what he called "the old knock-down-drag-'em-out," so, as he he often did, he set about making improvements. He suggested to the writers that the story be modeled on Ma Barker and her boys and that Jarrett be psychotic. This, Cagney reasoned, would be a natural set-up to his character's climactic demise. It was also his notion that Jarrett be a mama's boy and proposed a scene with Cody sitting on his mother's lap. "Let's see if we can get away with this," he said to director Raoul Walsh. They did. Virginia Mayo, who played Cagney's mistress, remembered of working with him that, "he always gave to you more than you gave to him" and was astonished that he wasn't Oscar-nominated for his performance. 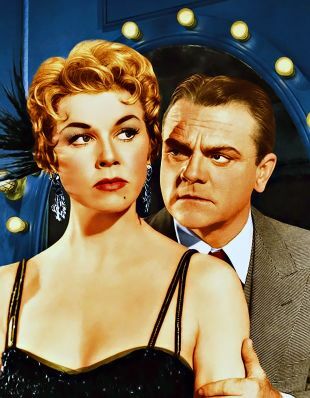 Cagney would receive his final Academy Award nomination for Love Me or Leave Me (1955), the film that revealed Doris Day's dramatic potential, and most of his later film performances were well received. The making of Billy Wilder's One, Two, Three (1961) was a frustrating, unhappy experience for Cagney and during filming he decided to retire when the picture wrapped. For the next 20 years he would spend most of his time on his working farm in New York and on Martha's Vineyard. His cherished pastimes included raising Morgan horses, sailing and painting. In 1974 he became the first actor to receive the American Film Institute's Lifetime Achievement Award. He was accorded Kennedy Center honors in 1980, and in 1981 returned to the screen for a high-profile cameo role in Ragtime, Milos Forman's film adaptation of E. L. Doctorow's best-seller. In 1984 he was awarded the Presidential Medal of Freedom. Of Cagney, Orson Welles said, "He always played right at the top of his bent, but he was always true. Sure, acting can be too broad. Broad is wide - spread out. Cagney was focused. Christ, like a laser beam! Cagney was one of the biggest actors in the whole history of the screen. Force, style, truth, and control - he had everything. He pulled no punches. God, how he projected! And yet nobody could call Cagney a ham. He didn't bother about reducing himself to fit the scale of the camera; he was much too busy doing his job." Elia Kazan, who'd had a small role in City for Conquest (1940), recalled Cagney as "a completely honest actor." Kazan erroneously assumed that Cagney had fully worked out his performance in advance, at home, and marveled that "what he did always seemed spontaneous." Late in life Cagney looked back on working with a young actor who went through intense preparation before every scene. 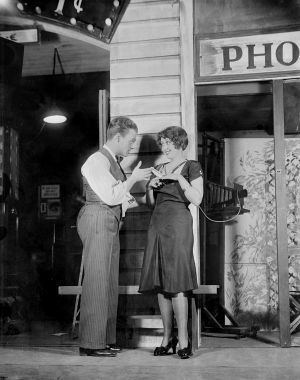 When a scene had to be re-shot, Cagney viewed the second take. "There I realized what the difficulty was...he was doing it for himself, not the audience. He was psyching himself up to be the character, instead of just understanding the character and playing it for the audience." Cagney's philosophy on acting was simply stated and often quoted, "You walk in, plant yourself squarely on both feet, look the other fella in the eye and tell the truth." Those who worked with him would doubtless agree that is exactly what he did. James Cagney died at Verney Farm in 1986 at age 86. His pallbearers included a former heavyweight champion (Floyd Patterson), a ballet legend (Mikhail Baryshnikov), an Academy Award winning film director (Milos Forman), movie producer A.C. Lyles, and one of his closest long-time friends, actor Ralph Bellamy. He was eulogized by the President of the United States and his New York Times obituary mourned the passing of the "Master of Pugnacious Grace." 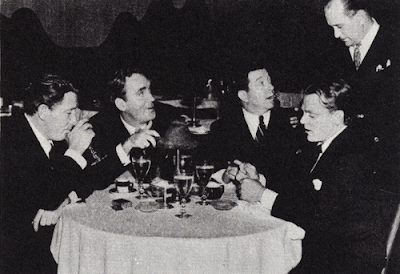 Cagney's AFI ceremony was said to be "the most star-studded gathering in Hollywood history" and that "if a bomb had been dropped on the assemblage, Hollywood would have been wiped out." I love your post! So affectionate and beautifully written, really conveying Cagney's roots and his approach to acting, as well as other aspects not so well known, such as his love of the land. Cagney seems to have been a fighter offscreen as well as on, battling Warner Bros for his rights as well as the Dies Committee's intimidation. He's an American legend. Thanks so much! GOM, An entire blog entry could be written on Cagney as dedicated conservationist. He was the definition of one-of-a-kind. So many facets. So talented. And gutsy. Truly a unique human being. Yeah, I remember seeing Frank Gorshin on the Ed Sullivan doing Cagney, but like you say every impressionist of the day had JC as part of his act. In fact, just about every kid on the street would do a bad version of “you dirty rat,” even if they had never seen any Cagney movies. While I honestly am a bigger fan of Bogart, Cagney was obviously a more versatile entertainer. He could do just about everything. Like Cary Grant he kind of retired while he still had time to do more work, but we cherish what we have. BTW I really like the McCabe biography. Fantastic contribution!!! John, I tried to find a '50s era clip of a Cagney impression on YouTube, but couldn't. One I did see was from the '60s - Mickey Dolenz of the Monkees doing Cagney on that show. Terrible. Probably on a par with the kids you remember from your neighborhood. A very fine profile of Cagney here. Thanks for the plug, too. I, for one, am glad that he started refusing to shoot with live ammunition. Whoever thought that was a good idea should have been forced to play every actor/actresses stunt double! Good point about the Dies Committee--his turn in Yankee Doodle Dandy came at just the right time. As always, I thoroughly enjoyed reading your piece. Kim, I can't imagine what it must've been like to be acting while being shot at. Some may have deserved it, but that's not the point. LOL...I'm thinking Joan Crawford in the deserving category. What an amazing life. I didn't know he was such a talented painter as well. I really enjoyed reading this. Kevin, Cagney had taken up sketching as a little boy and at one time had hoped to go to art school. At another point he was intent on studying agriculture. He was so fortunate that his success in movies allowed him to pursue his other passions. Life was Cagney's acting teacher and it was certainly an interesting life as you so ably shared with us. CW, I barely scratched the surface of his fascinating life here. I'd recommend both books I used as sources to those who'd like to know more about him. A couple of things that were entirely new to me I especially enjoyed. One was that very perceptive quotation about Cagney from Orson Welles, describing Cagney from another actor's (and film director's) point of view. The other was the two Cagney paintings you included. I know he loved to paint and had a well-developed sense of aesthetics, but I didn't realize he could paint that well. Thanks, Eve, for this essential contribution to the Cagney Blogathon. R.D., You very nearly got an email from me two days ago saying my contribution would be a two-part piece. I had 4 typewritten pages and had only reached 1942. So...I much appreciate that my contribution seems vivid and detailed and concise. I love the Welles quote. When I read it I thought, "what more is there to say about Cagney as an actor?" It was part of a discussion with Peter Bogdanovich after they watched "White Heat." Cagney's paintings are very good, aren't they? He was an amazingly gifted "fella." Thank you for hosting another superb blogathon, R.D. Eve, first of all, what a stunning photo at the start of your piece - I see it is one that has been (beautifully) coloured, but it really looks just like Cagney does in Technicolor in 'Captains of the Clouds'! You've put together a great piece on his life here - the McCabe biography is good and it is interesting to see the bits that Cagney made him leave out of his ghost-written autobiography but which he was then able to put in the later book, like the passage you mention about his alcoholic father's agonies inspiring aspects of Cody Jarrett. I also really like Richard Schickel's book on Cagney, though that one concentrates on the films rather than the life and does have a few mistakes in because it was compiled in pre-video days. Must agree with R.D. that it is great to see those paintings by Cagney which you have included. Judy, So happy you liked that photo so much - Claroscureaux does beautiful color work. In it I see Cagney's sensitivity as well as his fire. I did find the differences between McCabe's bio and the Cagney autobio interesting. I couldn't help wonder if a book written after Mrs. Cagney's demise would've been more different still. 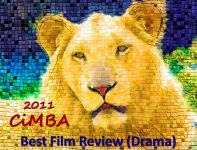 Awesome, awesome post and a perfect addition to the blogathon! And that you chose to include a video of that AFI award is the icing on the cake!! Truly, not only was Mr. Cagney a brilliant actor, but he was also a very humble man. How did you like his statement that he was merely the custodian of the award, holding it for all those wonderful guys and gals who worked so hard over the years!! I have read Mr. Cagney's autobiography twice now, and I have found it to be an enjoyable, delightful read. He really lived a rich and full life. Thanks, Patti. When I first watched the video clip of Cagney's acceptance of the AFI award I couldn't imagine anyone could watch it - even those barely familiar with him - and not fall completely in love with him. Such warmth and humor and sweetness and, as you mention, humility. A real class act with, as he said with a twinkle in his eye at the end of his speech, "a touch of the gutter..."
Oh, my...you really outdid yourself here! This is better than a TCM profile or A&E biography (OK, the last one f faint praise, but you know what I mean). I know very little of Cagney's life (he painted!) and only the most high-profile of his works,, but your wonderful essay pulled it all together is such a readable, enjoyable mix of marvelous quotes, facts, and details, I was at the end when I was just getting up ahead of stem. If leaving them wanting more is a sign of effective writing, you succeeded mightily. What a lovely tribute to this great actor! Ken, I'm so happy to know I left you wanting more rather than wanting out. Thank you! There's so much more to Cagney's story, but my hope was to try to at least give a sense of the nature of the man along with a biographical sketch. One thing I didn't mention is that he also enjoyed writing verse. Some of it was light and clever, some of it blistering and some melancholy. He was something else. What a wonderful post about such a wonderful man. Not only was he a great star, but he was a great human being - warm, compassionate and down to earth. He might have been a tough guy on the outside, but he was an artist on the inside. Loved it! Chick, That is exactly my impression of Cagney, well put! A wonderful post, Eve. I join along with everyone else in applauding your success in capturing so much of the character and intensity of one of the truly greatest stars. Cagney is an icon and he managed to do it without having to die young. I've always admired him and your post manages to deepen my appreciation. I remember Orson Welles saying something similar about Cagney's acting during an appearance on the Merv Griffin Show. He said that once he watched a great screen actor filming a scene and he thought, "nothing's happening" but then later when he saw the same scene on film it was wonderful. In the case of Cagney, he continued, he acted with such itensity and projected a presence that could reach the last seat in any theater balcony. It would seem that it would be too much on film, yet the final product was always brilliant and truthful. Welles used this as an example of how great acting can be delivered in very different ways. Cagney was totally unique, of course, and that's why he was so easy for mimics to cover, but probably impossible for another actor to get too close to without being seen as a mere imitator. 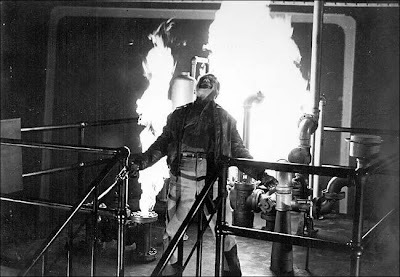 I also loved "White Heat" and it sounds like some of the best things about it, beside the lead performance, were ideas that came from Cagney himself. One-of-a-kind. Great job, Eve. MCB, I've always admired Cagney, too, and as I researched his life my admiration deepened to something like fascination or enchantment. A very complex character - which his screen persona implies, but he was deeper still. Pat O'Brien, who knew him well, nicknamed him the "Far-Away Fella." 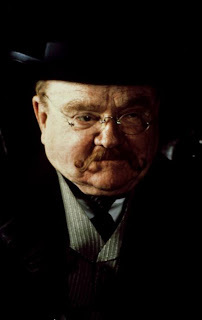 Unlike O'Brien and Frank McHugh, who were both very extroverted, he was very private, liked to be "far from the madding crowd," considered himself shy, etc. He seems to me a study in contrasts. And a fireworks display of talent. I agree with Ken, your article is better than a TCM profile or a A&E biography. I have only seen a handful of Cagney films. What an amazing person he was. I always thought he was a little ruff around the edges.. but, after reading your contribution, I understand him more. Thanks for the kind words, Dawn. 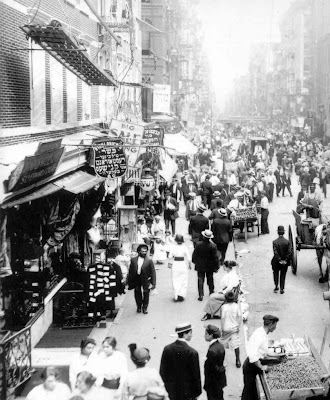 Cagney would probably be the first to say that he was a bit rough, but that, no doubt, was only because of his early years on the mean streets of the lower east side. Thank you, Rick. I'm going to have to revisit "One, Two Three" - I remember it for its intensely fast pace and that's about it. But you're the second person who has mentioned it being their favorite Cagney film - the other reviewed it for this blogathon. Cagney and Wilder didn't get along, Cagney seemed to think Wilder was dictatorial, as I recall. And he absolutely loathed Buccholz who he thought was not acting, simply waiting for his cues. I don't know, though, had these things happened a few years earlier he probably would've just soldiered on and kept making pictures. It was time for him to spend time in the countryside, he loved the outdoors and the farm life so much. Wonderful review of his life and career. I'm glad you included the AFI clip. He's just so natural. What a great man and what a nice tribute from you. Thanks, CFB - the AFI clip seemed like a perfect final glimpse of Cagney for this profile, the man himself in his emeritus years - as genuine and sharp as ever - being honored as he so richly deserved. Thnaks for your kind worlds, Lady Eve! I loved the quote in the beginning and the Orson Welles statement. No blogathon would be complete without a bio. Thanks for this complete post, and also for some never before seen by me images, like The Irish Mafia and some of Cagney's paintings. Oh, and I didn't know he had six siblings! Le, I absolutely loved your vlog on Cagney. It brought a tear to my eye to listen to you speak from your heart about your affection and admiration for him. 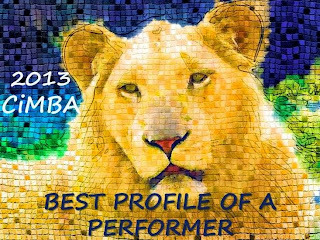 Glad you liked this profile and that there were one or two new things for you in it! Bravo! Wonderful stuff. I was riveted reading this compelling post on one of our most compelling characters on or off-screen. Respect the integrity with which Cagney did it all - in life and in art. Wonder if his family still owns the Martha's Vineyard farm, by the way? I want to visit!! Aurora, The Cagney farm on Martha's Vineyard was sold long ago. There's a link within the post to Chilmark farm that goes into detail on Cagney's ownership of the property - their time spent there and the eventual sale - fascinating but bittersweet. I've always admired Cagney and am a big fan of many of his films but in the process of working on this piece I fell head-over-heels in love with him...glad you enjoyed this, my labor of love. Thanks for providing such a kind and thorough overview of Cagney's life. After reading this I realized I knew almost nothing about him! I really liked his philosophy - acting for the audience, not himself. Some actors can't get past themselves and it really affects our enjoyment of the film as viewers. Ruth, I thought I knew something of Cagney's life going in but the deeper I got into his story, the more I realized how little I knew. As for his philosophy, he understood early - and never forgot - the importance of connecting with an audience. He also had an enormous natural talent to begin with - and he always worked hard to give his best performance. What a combination! This was an amazing post on Cagney. It pays full tribute to his acting and his character. I loved to hear all the details about what it was like for him behind the scenes and what it meant to him. I especially liked hearing the comments from his costars--I've yet to hear from somebody that worked with Cagney and didn't walk off the set with an enormous respect for the man. By the way, I've nominated you for a Liebster Award over at my blog. 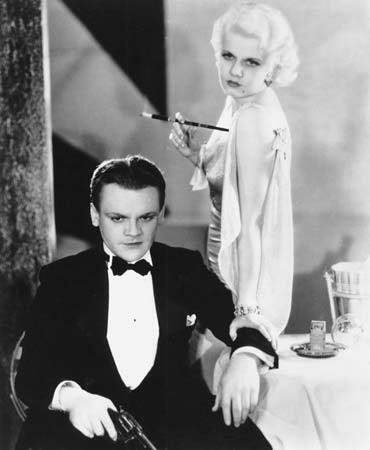 Aubyn, Cagney seemed to possess a very special combination of character and talent that took him far. I thought the Welles and Kazan comments were especially interesting - both men came out of the theater, but where Kazan, a co-founder of the Actors Studio, was of the "method" school, Welles's approach was traditional. And Cagney impressed both enormously. In fact, Kazan said working with Cagney raised doubts in his mind about the artistic snobbery that existed in the Group Theatre. Thank you very much for the Liebster! Great review of Cagney's life and career Lady Eve. You summed up well his talents and significance. Cagney liked horses - an Irish legacy - and he actually bought Adrian and Janet Gaynor's horse ranch in the San Fernando Valley. A bit of that love of nature close to his work. His private life was so different than his pugnacious persona on film. Fascinating bio! Cagney was one of my grandmother's favorite actors and she always told me that he was a farmer at heart and always loved the country. Where she heard that I'm sure I don't know, but I'm surprised that he did own so much property. It's amazing how different an actor can be in life compared to the screen persona we so often see. On a side note...I wish there were "Chilmark" farms today available for such a price! Waaay too late to be commenting on this (excellent) post (3+ years later! ), but I couldn't resist re-telling an anecdote I've often shared with anyone who shows an interest in my favorite actor. Jack Lemmon used to tell the story of how he was sitting at a bar in a restaurant in L.A., when the person next to him with whom he was having a conversation asked him his opinion of James Cagney. Before Jack had a chance to reply, glasses started clinking, plates began rattling, tables began to shake, and in a few seconds everyone in the restaurant knew that they were in the midst of an earthquake. Apparently it was a pretty good sized tremblor. During the whole thing, Jack didn't move a finger, just kept gazing at his companion's worried face. When the shaking stopped, and his friend was still clutching the edge of the bar with white knuckles, he said: "And THAT'S what I think about James Cagney." Thanks for stopping by - early or late, it doesn't matter - and sharing this wonderful anecdote, one I hadn't heard before. Perfect!